Cannabis is a medicine that helps people to treat the wide variety of physical ailments like cancer, glaucoma, AIDS, etc. In addition to this, it is powerful medicine for treating psychological disorders like depression. Many doctors and researchers have come to this conclusion and favored cannabis to be a potentially effective treatment for mental disorders. Depression is a complex mood disorder that makes the sufferer unable to work, eat, sleep, and be involved in social activities. There are many forms of depression, like significant depression that lasts longer than six months, dysthymia (a mild depression stage for that has lasted at least two years), bipolar disorder (which features rapid mood changes along with hyperactivity and impulsive behavior), and seasonal affective disorder (depression triggered by seasonal changes). Around 350 million people around the globe are currently suffering from depression according to the World Health Organization. There are many causes of depression. For example, it can be due to an abusive act that was physical, emotional or sexual, due to conflict or stress, genetics, or due to a loss or serious illness. Depression is the combination of biological, psychological and social factors and, therefore, there is no straightforward treatment available for it. Taking an antidepressant alone is not enough to cure the problem. Maintaining a healthy life, keeping yourself away from stressful situations, practicing meditation, exercising, eating nutritious food, and sleeping well are the best ways to treat depression. Marijuana has been used for the treatment of depression throughout history. Doctors in India used it in the 17th century to cure depression. It is an alternative to antidepressants with the least or no side effects. It acts on the endocannabinoid system and speeds up the growth and development of the nervous tissues. It helps the patient to battle with the stress, provides energy, relieves anxiety, induces hunger and also helps to combat insomnia. Since stress is one of the primary causes of depression, cannabis consumption helps to alleviate stress and stabilizes the mood of the patient. Plant breeders produce many strains of cannabis. These strains contain varying amounts of THC and CBD concentrations. Since a higher THC concentration can reverse the effects of the medicine, simply consuming medical marijuana is not enough to cure depression; instead, taking the right strain with the right ingredient concentration proves to be the best. Harlequin an excellent strain for treating depression, having a 1:1 THC to CBD ratio. Thus, the strain has a low psychoactive effect and the CBD content helps with the anxiety disorder. It is a sativa dominant strain and is therefore useful to consume during the day. It helps the patient fight with depression by keeping them active, more focused and stress-free. This one’s another sativa dominant strain that will make you feel uplifted, energized and euphoric. Therefore, this cannabis strain is considered suitable for treating depression, particularly during the daytime. It is also a great stress reliever and helps you enhance your productivity in whatever work you do. Marijuana is not something that always makes you feel “high.” There are many strains of cannabis like Cannatonic that contain a high concentration of CBD in it. The CBD in marijuana provides relaxation for your body and mind without any psychoactive effect. 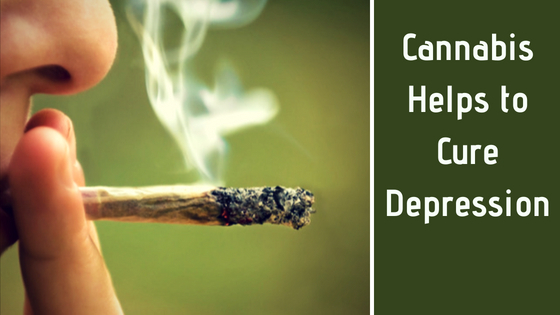 Depression hinders your social life, and consuming this strain helps you to treat the condition. The strain provides you relaxation but does not make you feel low or less energized. That’s why it is the best strain to cure depression and is preferable for daytime use. An indicia dominant strain is preferred for the night time to cure depression. 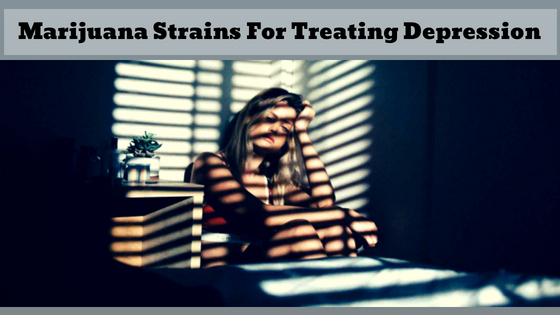 Although an indica strain acts more like a depressant than a mental stimulant it is still found to be a popular choice among depression patients as it makes the user feel relaxed, happy, and sleepy. So, it’s a good choice if depression has become one of the reasons for insomnia. It provides a calming effect and keeps the mind from racing. This is the best strain for those who want to reduce stress and boost the mood. It also enhances creativity. The strain contains a high percentage of THC, and therefore it is recommended to start with a smaller dose. When you want to use marijuana for treating depression, it is essential to choose a product based on cannabinoid content, terpene content and strain type. 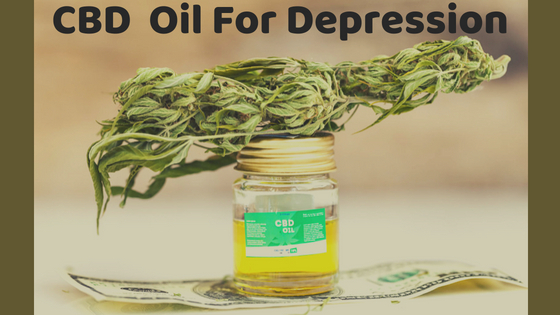 Generally, the high CBD concentration is the preferred choice for a patient wanting to treat depression, as CBD is non-psychoactive and has no side-effects on the body. THC is also found to be useful for the treatment of depression, as it helps the user to feel euphoric and enhance their positivity. Both the indicia and sativa dominant strains are useful for treating depression, but sativa is the preferred choice due to its effectiveness during the daytime. Thus, it helps in increasing the productivity and creativity by keeping the mind and body active and energized. Sacramento Cannabis Doctors Recommend Cannabis for AIDS! The Online MMJ Sacramento works for improving the health of people fighting with debilitating health conditions by exposing the misinformation and uncover the truth of cannabis use. We are always ready to help, just waiting for your efforts in reaching us.